Stocks already were sharply lower before the comments following US President Donald Trump's latest tariff threat late Thursday on Chinese imports. 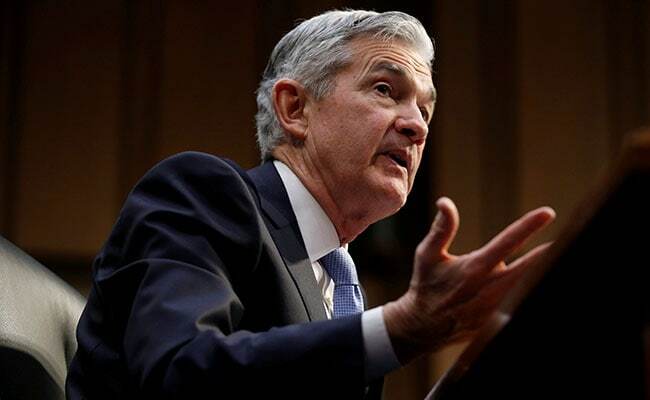 New York: US stocks extended losses and the S&P 500 hit a session low in Friday afternoon trading after Federal Reserve Chairman Jerome Powell said the US central bank will likely need to keep raising interest rates to keep inflation under control. In a speech in Chicago on the US economic outlook, Mr Powell said the labour market appeared close to full employment. It was his first speech on the economic outlook since taking over as chairman on February 5. Stocks already were sharply lower before the comments following US President Donald Trump's latest tariff threat late Thursday on Chinese imports, which revived fears of a trade war between the two countries. Mr Trump threatened to slap $100 billion more in tariffs on Chinese imports, while Beijing said it was fully prepared to respond with a "fierce counter strike". All S&P main indexes were down sharply, but industrials, financials, energy and materials sectors led the declines, with S&P industrials down 2.7 per cent. The Dow Jones Industrial Average fell 565.49 points, or 2.31 per cent, to 23,939.73, the S&P 500 lost 53.08 points, or 1.99 per cent, to 2,609.76 and the Nasdaq Composite dropped 134.34 points, or 1.9 per cent, to 6,942.21. Fears of a trade war since Mr Trump announced tariffs on steel and aluminium imports more than a month ago have kept investors on edge over concerns that such protectionist measures would hit global economic growth. "It's a reaction to concerns about the administration's approach to trade. The market has vacillated between writing it off as just talk and assuming there could be a serious problem," said Rick Meckler, president of investment firm LibertyView Capital Management in Jersey City, New Jersey. Before the session started, a Labor Department report showed nonfarm payrolls increased by a smaller-than-expected 103,000 last month. While annual growth in average hourly earnings rose to 2.7 per cent, it stayed below the 3 per cent that economists estimate is needed to lift inflation toward the Federal Reserve's 2 per cent target.